Interested in supporting our efforts to raise awareness of how the new health care laws effect health care freedom and the integrity of the doctor-patient relationship? 1. Use the PayPal Donate button in the far right column. 2. No PayPal account? Email blackribbonproject@gmail.com to receive instructions on how to donate and receive your own pin. Donations will be used to develop, print and distribute information and to spread the use of the ribbon as a symbol. Even those who support the new laws need to know about its harmful effects on our medical future. 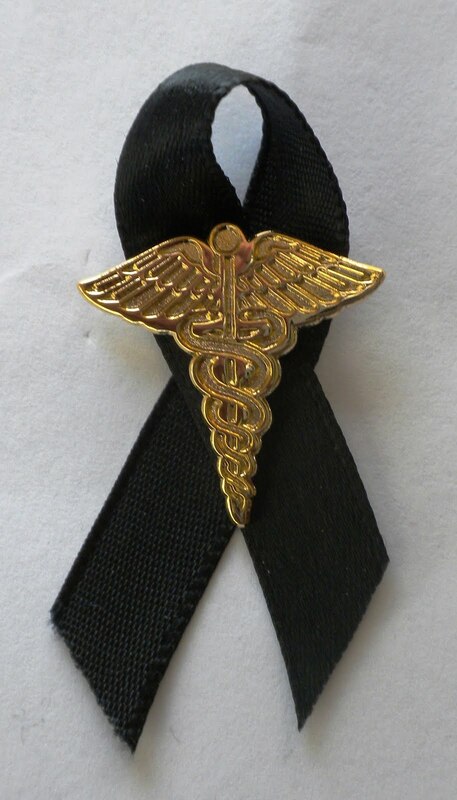 All donors will receive a pin and a business card explaining the purpose of the ribbon. If you would like to receive more than one pin, see the Ribbons page.